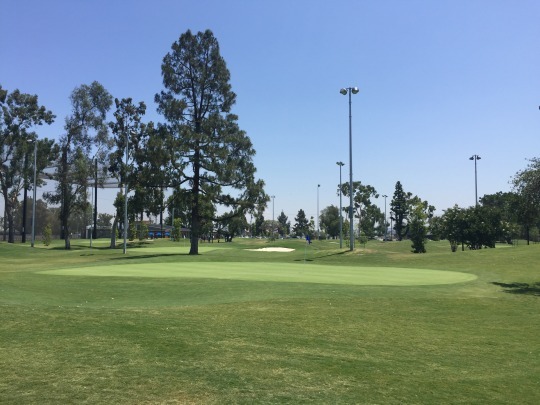 Last week, I had the opportunity to visit the new Don Knabe Golf Center & Junior Academy in Norwalk. It sits on the site of what was once a very run-down Norwalk Golf Center, which I was able to play a couple years back before they closed down for a major renovation. What a difference they have made here. They really built something special, with an emphasis on junior golf programs. As someone who grew up playing a short course, I have a real appreciation for places like this. There are a lot of short courses that host First Tee programs, but then there are facilities like this that really take it to the next level. Colina Park down in San Diego is another great example and so is The First Tee of Coachella Valley course in Palm Desert. The Ely Callaway Center in Oceanside is awesome-looking, as well, but I have yet to be able to play that course since it is not open to the public at all. I would gladly welcome an invite, though! What was before just a basic little pro shop shack at Norwalk is now a nice new building with a cool little pro shop and a community room where they conduct all sorts of different events and activities. 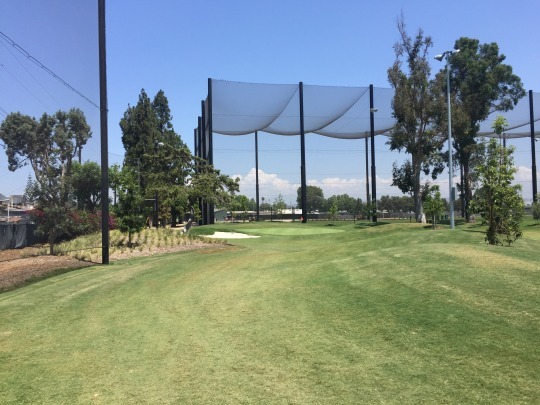 There is a brand new double-decker driving range on site. It is fully enclosed and even features a regulation-sized football goal post in the middle to give you something fun to aim at. Then, there is a short-game practice area, as well. 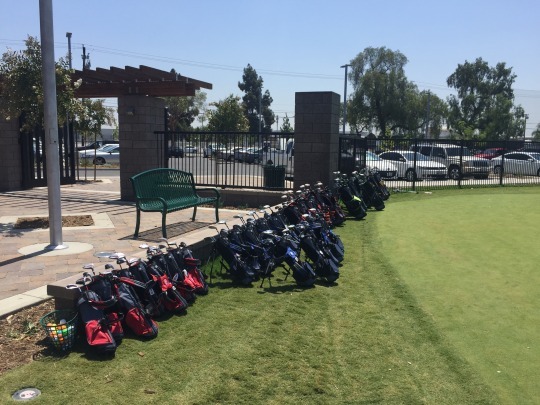 When I arrived, I saw a bunch of small bags of clubs lined up along the putting green. They were arranged by size, with some for the smallest of kids up to the young adults. 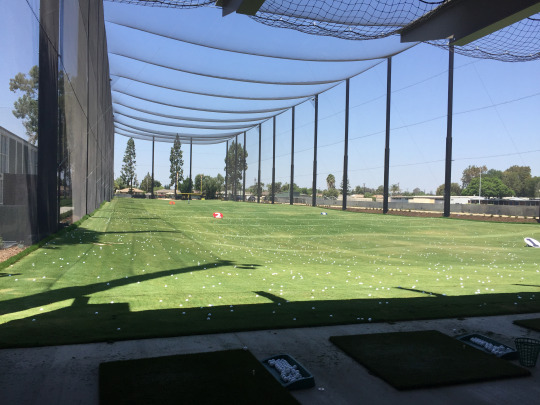 It felt welcoming and fun, which is exactly what you want from a junior golf center. 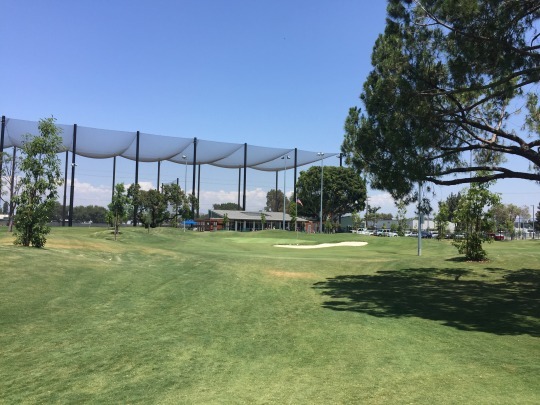 They host all sorts of free golf programs sponsored by the SCGA. Then, the Knabe Center has its own lessons and programs available to kids and adults alike. Last but not least is the new course. They basically leveled the old par-3 course that was there. There are still some skeletal elements of the old course that I could remember, but it is essentially new and it was recrafted from the ground up. The longest hole is exactly 100 yards and most are in the 60-80 yard range. They have nice mats to hit from and all new turf. The fairway and rough areas are all bermuda while the greens are pure bentgrass. You don’t usually expect to find nice bentgrass greens on a course like this, but it just goes to show you the effort they have put in here to make it something special. Hopefully, they are able to maintain such nice conditions over time with so many players (most being of the novice/beginner variety) coming through. 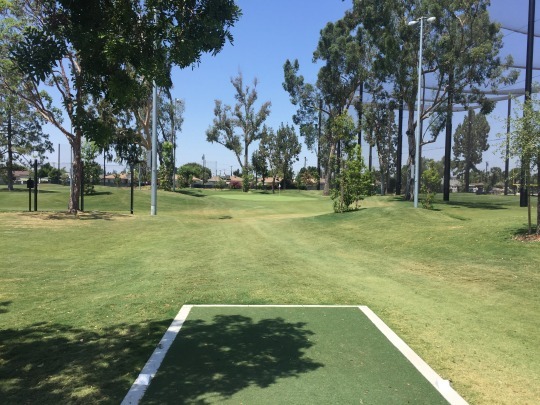 The course itself isn’t anything to take too seriously, but it is a fun pitch and putt layout that will serve as a great introduction to the game for new players. Or, it’s a sweet short game practice facility for anyone. 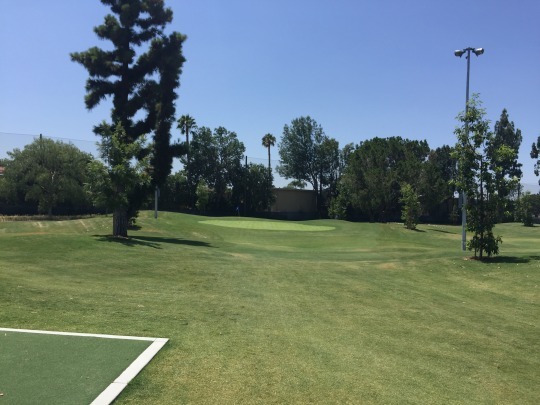 The rates are reasonable, and it is especially cheap for juniors to play the course or use the practice facilities. 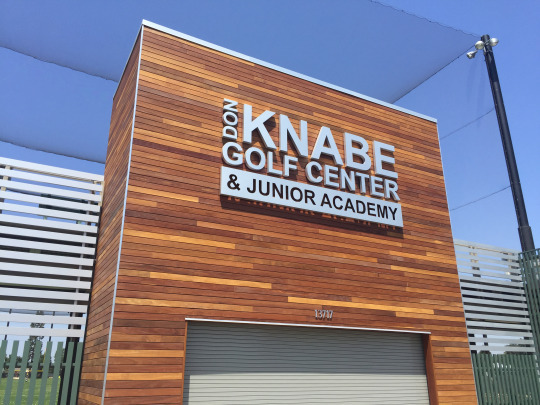 I wanted to write this article and applaud what they’ve done at the Don Knabe Golf Center & Junior Academy. I’ll really be rooting for this place to do well!